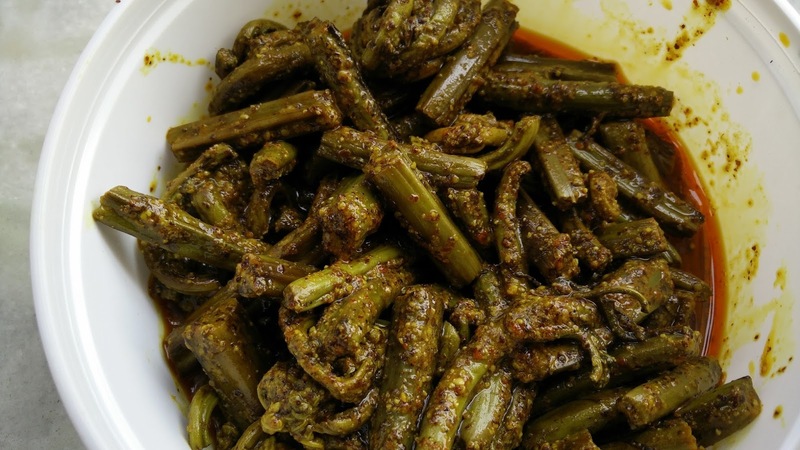 Kasrod pickle is another very famous Jammu delicacy which is usually made in dogri homes. It can be eaten with chapatti or paratha or bread. Once dried, add all the spices and mustard oil. Mix well and transfer the pickle in glass jar. Keep it in sunlight till the mustard seeds powder gets fermented. Once the required sourness is achieved, serve with chapatti or bread.